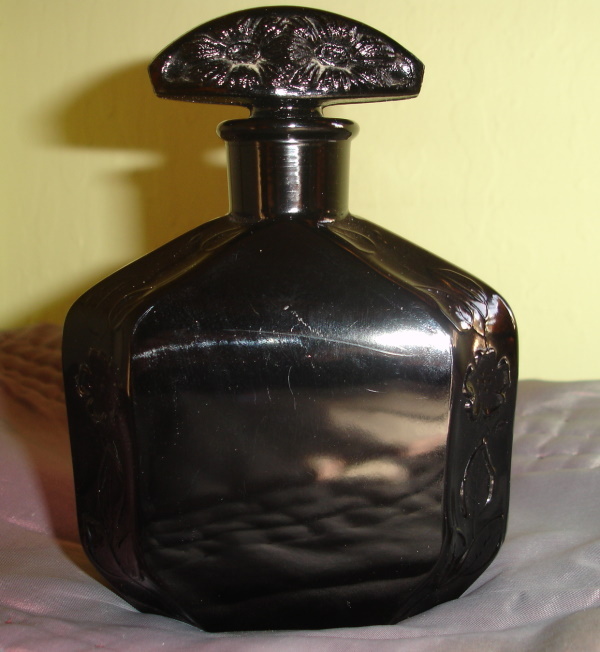 Description: This is a beautiful and rare French Perfume bottle. 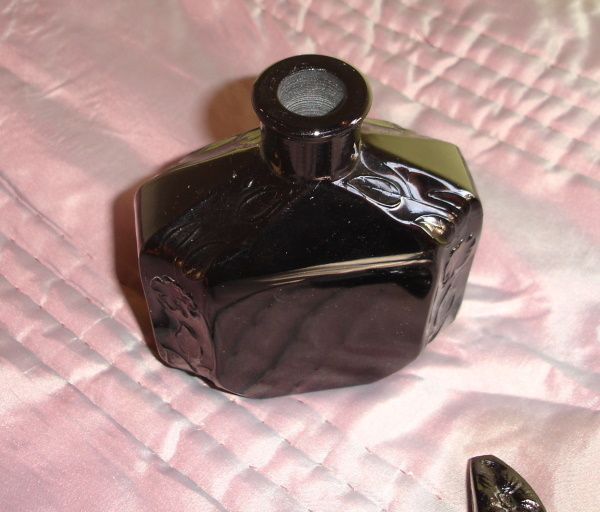 It is a large bottle at about 5 1/2" tall and 3 3/4 " wide. 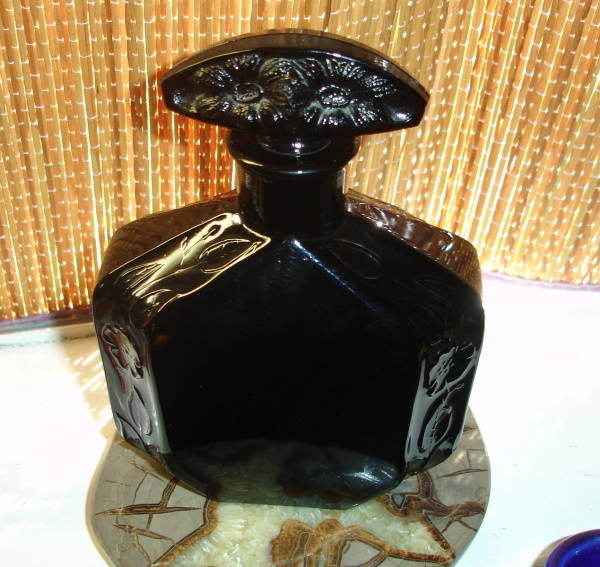 Made of black glossy opaque glass, the bottle is molded with flowers along the sides and across the stopper. 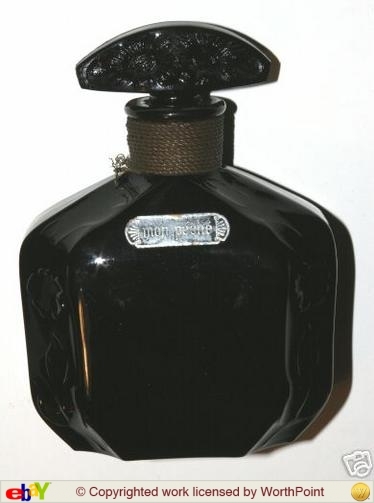 There is no label but Poiret used this black bottle for two fragrances. Mon Peche and Vierge Bele. 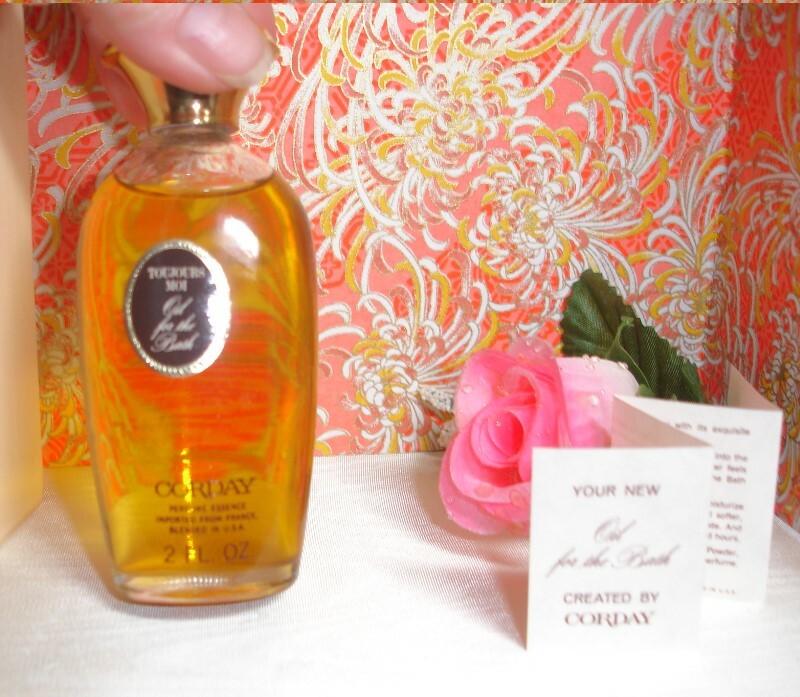 Overall condition of this rare bottle is excellent with no chips or cracks or repairs. 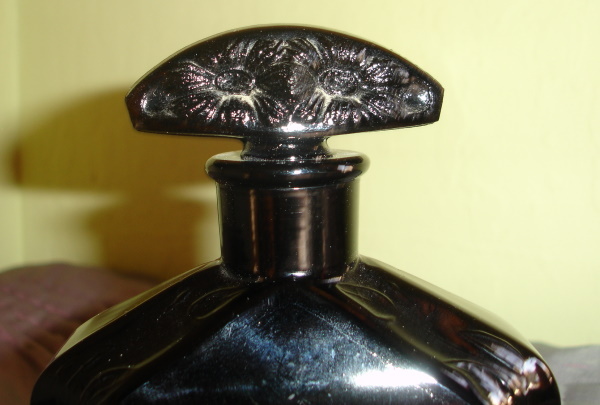 There are some small rubbed areas on front and back of the bottle but they don't detract from the overall glossy finish of the bottle. 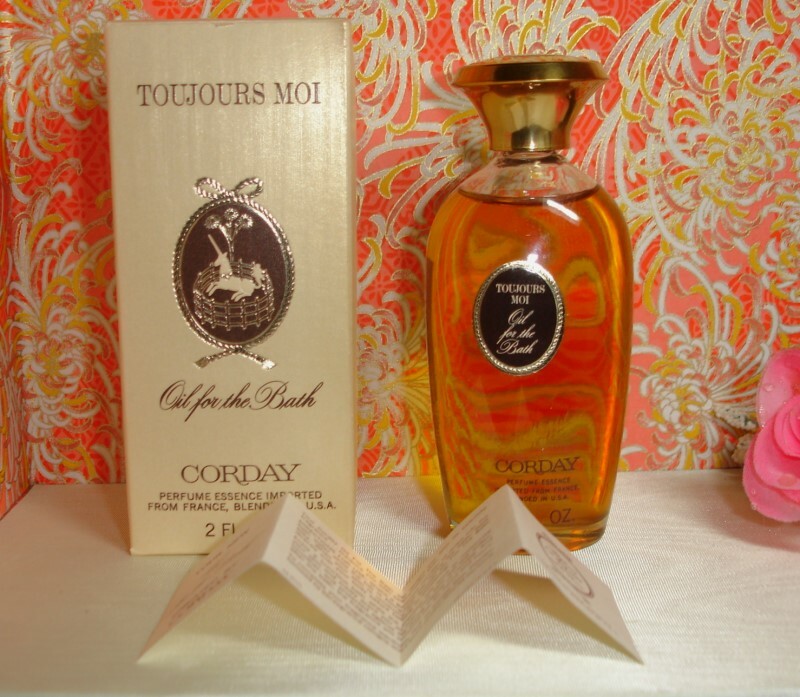 First photo below is of a similar bottle sold at Chirsties Auction House in 2008 for a lot of money, and is inlcuded just so you can see the bottle is a genuine Poiret bottle. 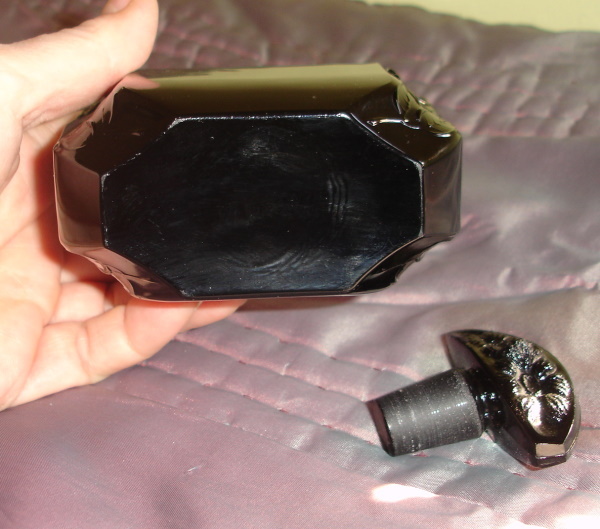 My bottle does not have the cord around the neck nor any labels on the bottle.